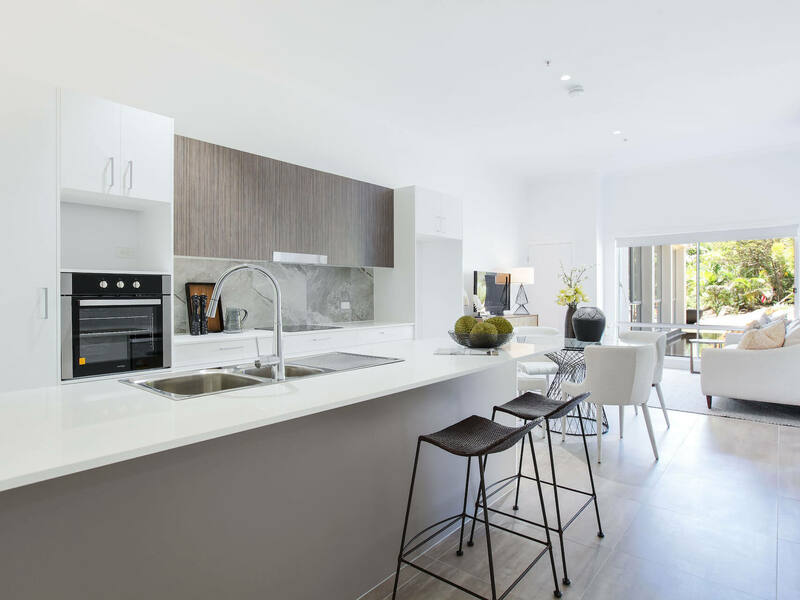 At BJF we have designed and built high-end kitchens all over the Gold Coast. We are commonly asked where a prospective renovator should start. So, we put together this article to help others get started. When it comes to the kitchen a lot of time, consideration and planning goes into creating the perfect space. There is good reason why, you will spend a vast amount of your time in the kitchen and it is a space that must combine both form and function. At BJF we are no strangers to creating a stunning kitchen plan, that combines both of these factors. In this article we are going go through the basic process of how we advise planning a kitchen renovation. So, to get the ultimate kitchen you need the ultimate plan. There is no better place to start than right here. This one’s for both the big spender and the penny pincher, these tips will keep anyone planning a new kitchen renovation on the right track. When you get to the anticipated kitchen reno it can be quite overwhelming and you may find yourself not knowing where to start. We suggest compiling a basic wish list of various ideas and specific items you may be considering. It may be specific appliances, certain layouts, looks, materials or details. Compile these lists into mood boards, that show off the colours, materials and styles you have been imagining. If you are coming from this with no experience it can be hard to convey your ideas to designers and builders without knowing terminology. A mood board will drastically help you communicate with your designers and builders so that you can get the exact style of kitchen you want. At first, compile the best of the best. Don’t worry too much about budget at first. Just go for whatever your eye catches. It can be easier to trim this list down than to immediately build the list with a budget in mind. The key to this list is that it is a starting point, and you should be as flexible as you can. Next you will have to prioritize what is most important, be prepared to start rejecting ideas that may not fit your budget. This can all be done in the comfort of your home, just begin researching materials and styles. The more you go to your architect, designer or craftsmen with the better your proposal will come back. Once you have compiled the ultimate list, trim it down with a budget in mind. This will allow you to decipher which aspects of your list are most crucial and which aspects can be compromised. Once you have narrowed down what aspects and styles are most important to you take it to a designer or architect. With your initial ideas and a look at your space the designer will be able to extrapolate a floor plan and layout to begin. You will need to start making decisions on how you want the kitchen to flow with the surrounding spaces. One of the basics to consider is the working triangle, check out our previous blog on the subject to find out why this is so crucial and how to implement it. From here, decide on a layout that works for both your entertaining and day-to-day needs. The first place to begin is just by asking yourself how you will use the space. Is it going to be highly functional with large appliances so that you can prepare food for the whole family? Or is it going to be minimal with a larger emphasis on form over function? Every person has their own preferences and needs. Be open to abandoning some of your initial preconceived ideas. You may find that as you get a better understanding of your needs and priorities some of your initial thoughts and ideas aren’t as relevant. With a general layout designed, to align with your requirements, start to look at what materials and finishes you want. Return to your original mood board for inspiration. Your designer will have probably selected some finishes for you to consider. The designer’s advice is usually great in this situation, as they will have selected finishes appropriate for your budget and layout. You will also have the confidence that the appliances you now select will be the right size and work with the design. 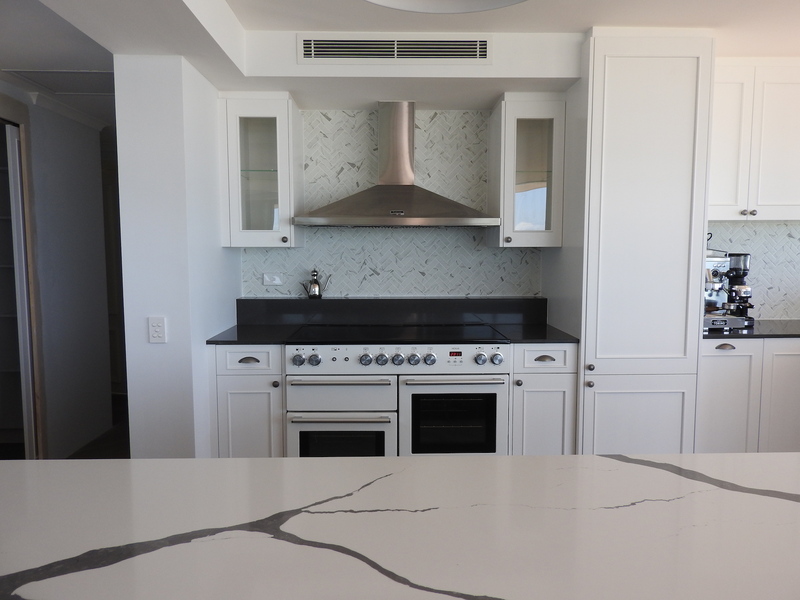 Particular finishes for your benchtop, tiles, and appliances can have associated lead times with them as well, make sure to check with suppliers that they will work on your current schedule. The selection of appliances can be complicated. There are so many differing styles and even more companies to offer them. There is a lot to consider. One of the most important things at this stage is to get the sizing right. Be aware of sizing, work with the outline and plans of your kitchen. Keep in mind how you want your kitchen to flow and what are the focal points of the space. Getting sizing and selecting your focuses are half the job done. 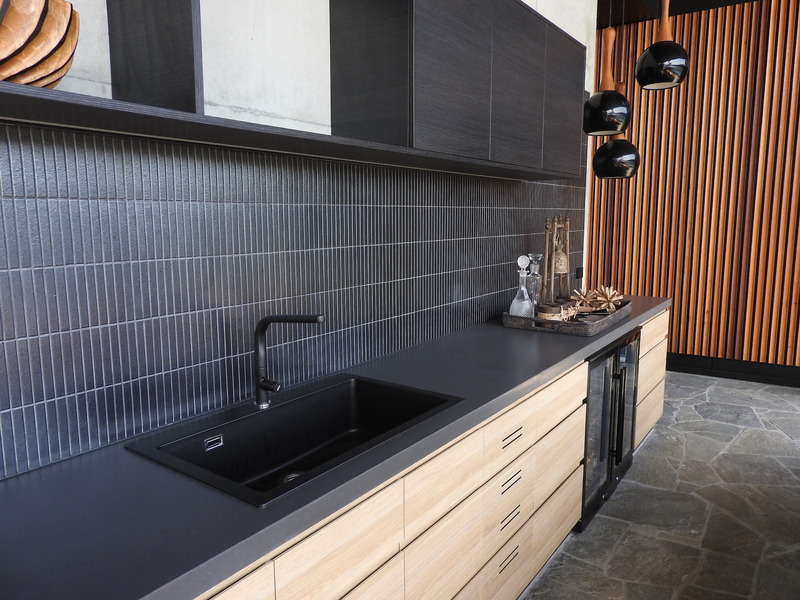 Some items can be integrated seamlessly into the joinery, like range-hoods. These items can be concealed to hide their appearance and drawing focus towards statement pieces. Talking of statement pieces, selecting the big-ticket items and then selecting accompanying cabinets and accessories is a great way to go. Make sure not to go to crazy on design and forget about function. Fancy cabinets are no good if they don’t store what you need them to. Try to stay balanced between form and function. This has been a look at how we implore people to think about planning a kitchen renovation. That’s all you really need to get started and working towards your big kitchen renovation. There is of course much more to learn and discover. 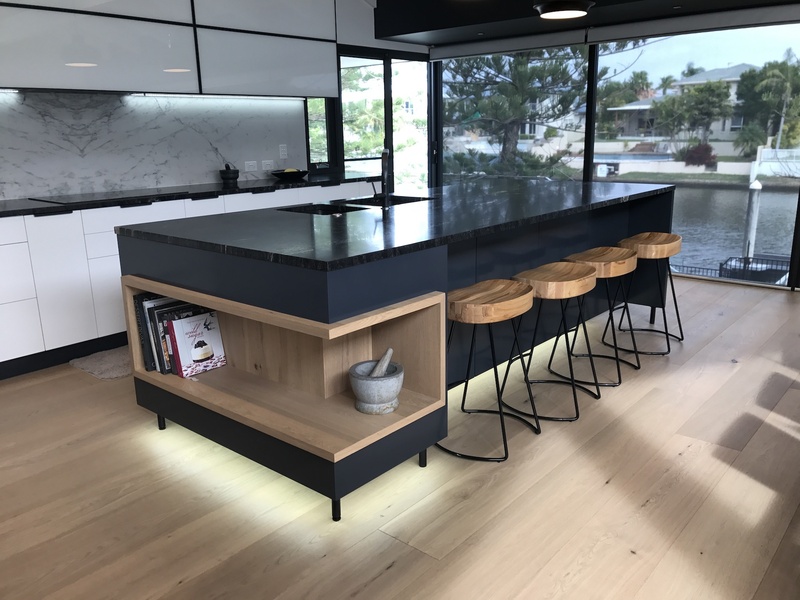 At BJF we design and build high end kitchens throughout the Gold Coast, if you need a hand getting started or advice on what to do next make sure to get in touch.